My first post for 2015! Happy new year everyone! I hope 2015 brings everyone loads of success, happiness and good health. Last 2 months or so has being difficult for the family with us constantly battling ill health and bouts of recurring flu. This left us making many much required lifestyle changes, less socializing, taking it easy at work for a bit, eating out occasionally and staying put at home reading or watching favorite movies. I was eating light most days and also did not bake much over the festive season. Soups and toasted bread with garlic butter was dinner most days. 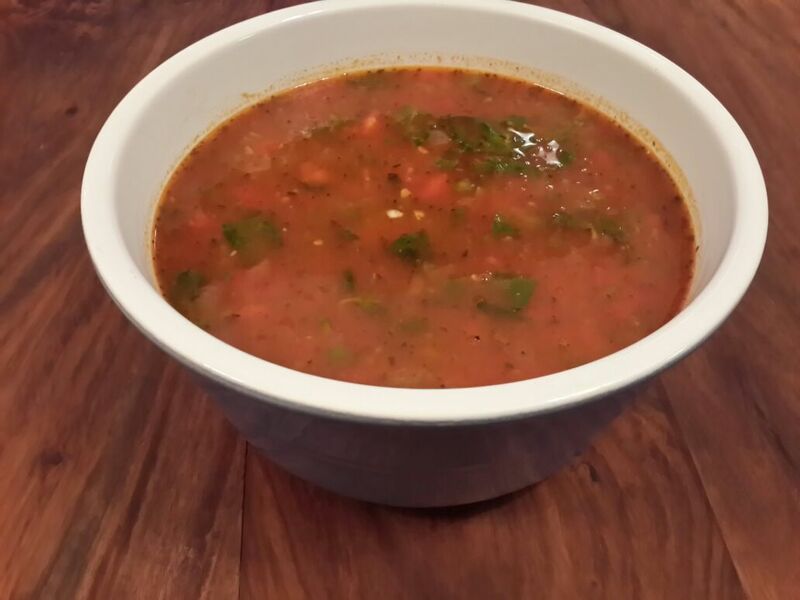 My experiments with new recipes for smoothies and soups continued. 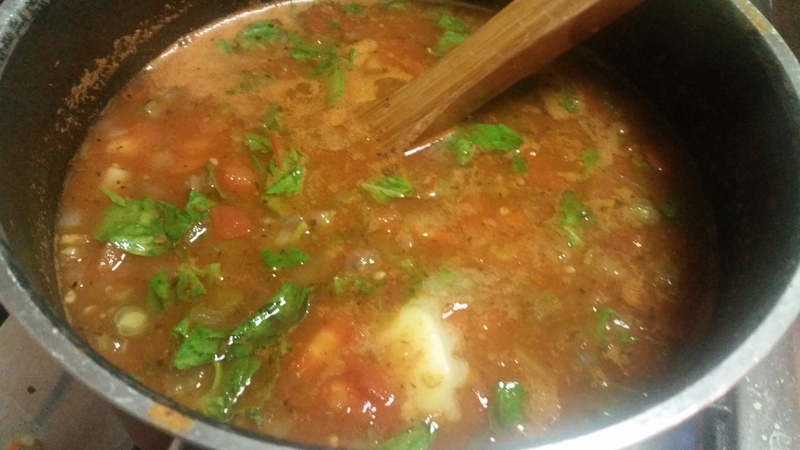 One recipe which was well received was Minestrone Soup. 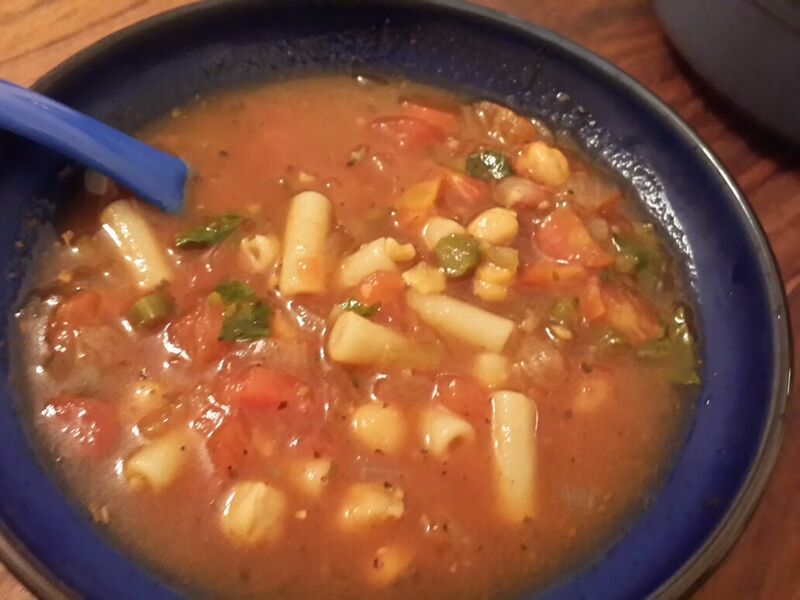 My earliest memories of having this soup are at my home when mum doused leftover cooked macroni in the mixed vegetable soup she made for us. 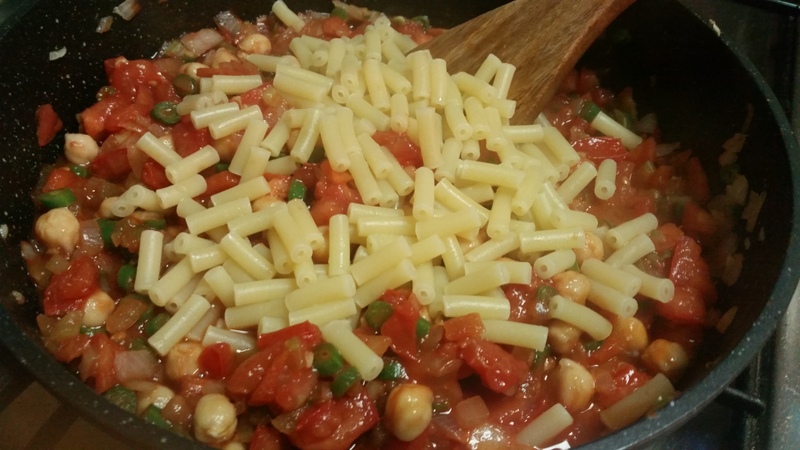 A successful attempt by her to feed my younger brother some veggies, the macroni got him excited and he found himself busy trying to find the pasta in bowl of vegetables. In a big pot, heat some oil and add garlic. Cook for a minute or so. 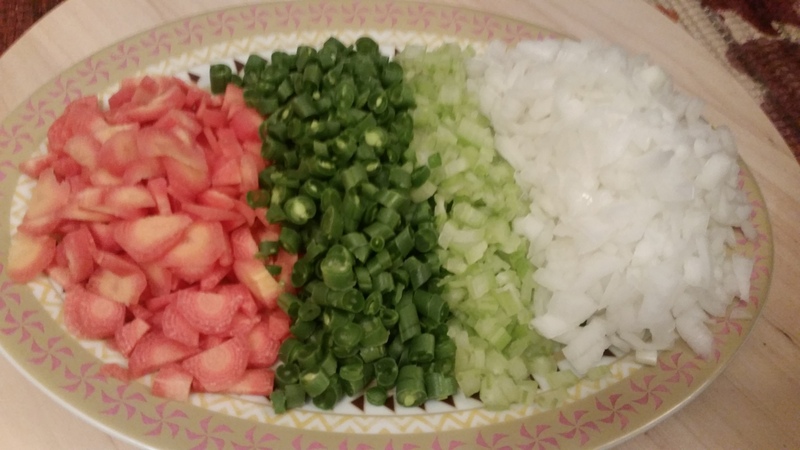 Add onions, celery, carrots and french beans and cook them until they are soft. 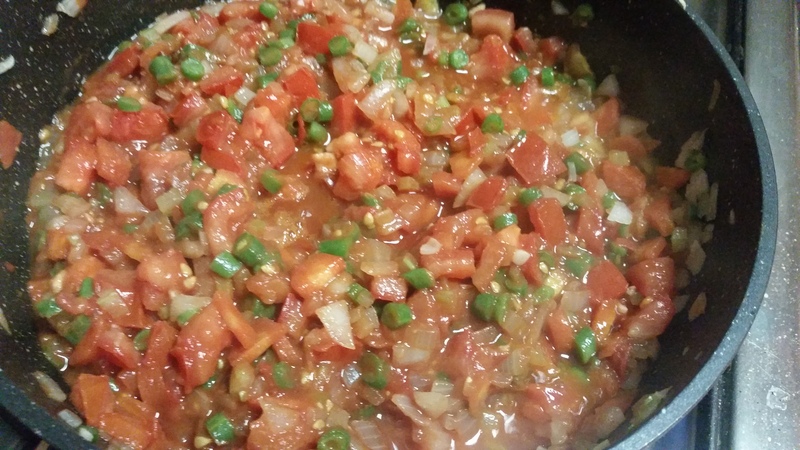 Add tomatoes to the mix and cook the mixture well. 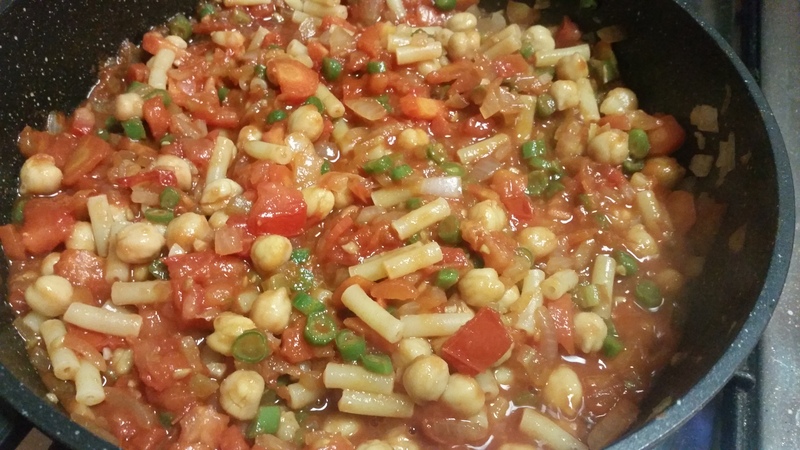 Follow this with cooked chickpeas, pasta and tomato paste. Add salt, black pepper and dried herbs and blend well. 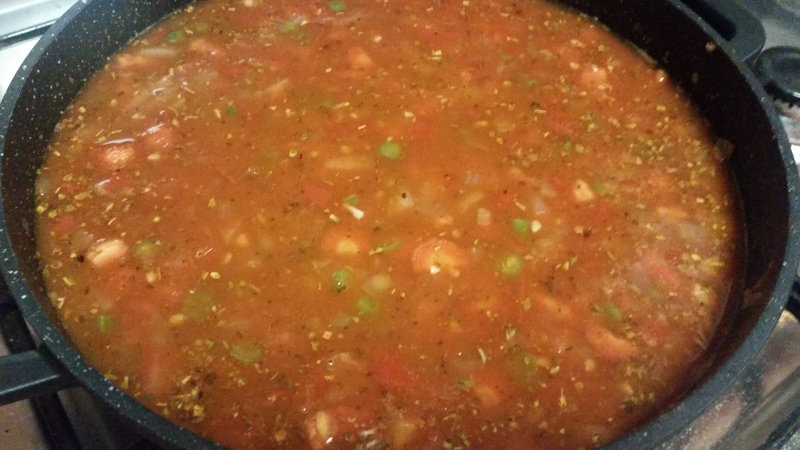 Add vegetable stock and allow the soup to simmer on low heat. I usually make vegetable stock at home else use some cubes of organic stock cubes from Waitrose. Meanwhile add fresh basil and garlic butter to the mix. 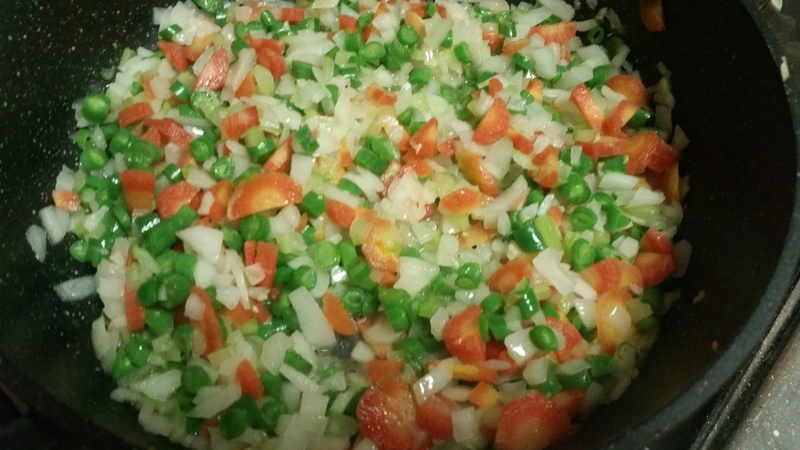 Cook until the soup reaches the consistency your are after. This is usually after 15-20 minutes. Turn off heat and relish the goodness. Serve this with Foccaccia or toasted bread with garlic or herb butter. 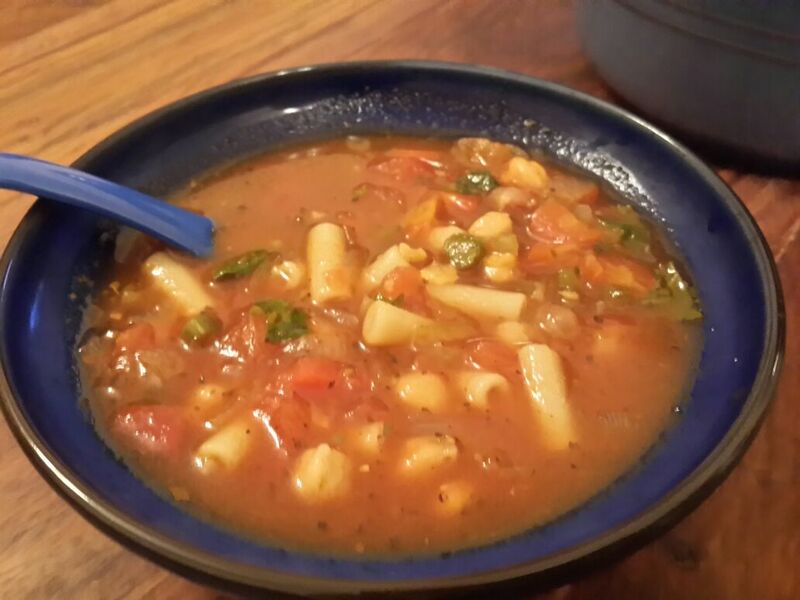 The soup is quite comforting and the chunky vegetables and pasta in there make it interesting with the crunchy texture of the bread. In the month of January I intend to do a recap of the beautiful 2014 I had. Some events where I got to see my celeb chefs, cooked some new recipes which friends and family loved and also two of my articles got published in an e-magazine by Food Blogger’s Association of India. I promise to share my food stories with you all shortly, until next time, happy cooking! I definitely have a lot to do since I’d be hosting an Italian themed dinner party for my very close friend and his pretty wife tonight, wish me luck!